This will be my biggest self-investment so far. I am actually a thrifty person and I always think a hundred times before spending my hard-earned, limited money on to something. Finally, on November 21, after contemplating and exchanging few emails with Jason [or maybe his assistant replying using his email] about my doubts, I enrolled on his VA Bootcamp Accelerated course. I have been learning through FREE online courses for two (2) years now and I once bought a lifetime membership worth Php 600 all about affiliate marketing but I am still struggling with my goal of working from home. I stumbled one day on one of Jason Dulay's Youtube video about Freelancing and it gave me more understanding about how freelancing works. His videos are short enough for my attention span and he talks straight to the point which led me to visit his Work From Home Roadmap website to learn more about it. I took two (2) of his free online courses, the "How You Can Work From Home" and "5 Lessons to Become a Quickbooks Bookkeeper", where I will be receiving one (1) lesson a day for five (5) days thru emails which contains video lessons. I did not decide to enroll on the bootcamp right away after I finished those free online courses. I did have my worries and doubts which prevents me from signing up. "Upwork has changed their policies about new registrants and my profile is not yet approved, will I still be able to succeed after the bootcamp?" "I want to be a VA, specifically an accountant/bookkeeper, will I be able to do that if I enroll?" But I do want to clear everything that is bugging me because I want to move forward so I sent him an email about my questions. I also checked him out on Freelance Blenders Messenger group [I joined in few months ago] and he is a part of it so that is a plus! After reading every emails that I received from him, slowly my questions were answered [not just the reply email but also some helpful information that I receive every day]. And I have come to a realization that yes, online free courses are indeed helpful but I am that type of person who still needs guidance. Out of 100%, I think my knowledge about this path I am planning to take is around 15% only. I really do need to learn and study and practice. With this bootcamp, I have read that I will be given a 1 on 1 mentoring session, a step by step guide to freelancing, pre-recorded learning videos and a lot more that I will explore once I start this course. The cost is not that cheap but at least not that expensive compared to the one I have been considering to enroll to before. Since my goal is to work from home using my accounting skills or any other skills that I am capable of, I figured this is the right course for me. Plus they will be teaching other skills required on landing my first job as a freelancer. I will be updating this or make another post about my progress in this course for the following weeks so I hope you stay with me. The VA Bootcamp Accelerated course is Php 7,990. I paid Php 7,191 after applying a coupon code I received in my email. There are two (2) more choices in VA Bootcamp, the Starter course worth Php 4,990 and the Complete course for Php 13,990. And payment is made easy with a lot of choices: via PayPal, Debit/Credit Card, Bank Deposit or Remittance. I chose Bank deposit since my PayPal's balance is not enough, although I paid thru online bank transfer. That same day that I paid, I received an acknowledgement email from them after a few hours [which I was able to read the next day, I really should check my emails regularly]. November 22, I started my journey with this bootcamp by checking my WFHR [Work from Home Roadmap] account, joining our WFHR students FB group and downloading the guides. And November 23, I get to start the real thing.....I took the first module which contains video lessons, mostly introduction and the things I firstly need to know as a beginner. I can say this is different from the lessons that I took before. Usually I am the type of person who starts things with passion, like I am really fired up [imagine Natsu's face from Fairy tail here] and then days pass by and the fire's slowly dying until I'll completely forget about it. This time, I do not feel that way. I still can't even believe I have really invested on my personal learning. This is really the first time. And I am not that s-u-u-u-p-e-r fired up , but I am not bored or anything either. But I do feel like I have learned something, I took notes and now I am practicing on changing my attitude as what I have learned in the first module. I am afraid that I might lose the fire in me again when learning something, but this time I do not think I have the fire to begin with. What I can see right now is that this bootcamp will itself ignite that fire in me about freelancing. Maybe because I do not see any qualifications in me that I am fit for this job. Other coaches say that as long as you have computer and internet then you can start freelancing. But Jason flat out laid the skills and techniques you will need to have to be able to succeed. If I will be able to learn and practice it then I will have a chance. All I have to do now is to follow everything and stay on the right track and never lose sight of my goals as to why I am doing all of this. Yes that is right. I must first possess the right attitude. Gawd, I have only started a few days ago but I am already able to say stuff like this. I still can't imagine how this will turn out at the end but whatever the result is I will post it here. If you want to learn more about this VA bootcamp or just about working from home in general, you can check its website here. The VA Bootcamp had a revamp last July 15, you can check out their new website and changes in the course >>here<<. (I have also updated the links within the blog post so it is the same). If you are not familiar with the changes I am talking about, you can check out my other post about it last July 13: Is Freelancing For You? Let me know if you did not receive the code in your email. Hi! As of now, I've got an online full-time job. It took me months to finish the bootcamp and another month looking for an online job and finally landed one last April 17. Wow thats good to know. I hope i can get a job after i finish the bootcamp. im planning to enrol next month. I only have little worries about the kind of job they offer. Because im not really good in Office work, and my work experience is different from those online job, Do you think someone has to be intelligent to understand the lectures very well? Hi! May I ask what job you got now? Im really interested to enroll, its just that Im having doubts if I will get an online job right away..
Getting an online job doesn't have a definite time scale. For some it takes months to get hired (like me) and some get it faster. Best advice that I could give (which I also received from my fellow WFHR classmates) is to keep going and keep learning. 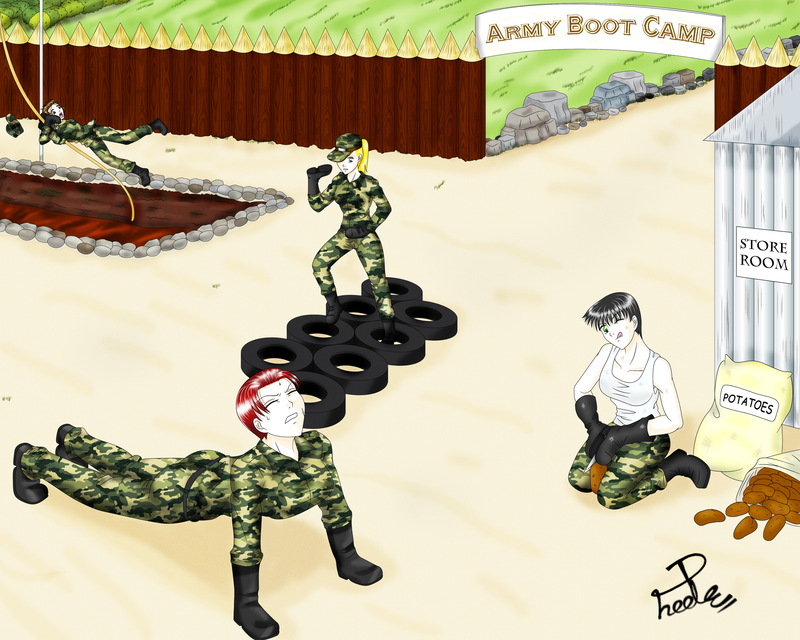 Apply the lessons from the bootcamp and customize it according to your personality and capability. E.g. they have templates for applying, but if you feel like it doesn't fit you, you can edit it or even make your own according to the principles they taught you. It sounds vague if it just comes from me or from others, you can understand it more when you yourself experience it. But I do hope this somehow answered some questions that's bugging you. Have a nice day~! I read through all of your blog about the VA bootcamp experience and it is very inspiring and interesting as well. Though you did not specifically land a job as a VA but instead one that is in your profession. I believe the bootcamp gave you tools and conditioned your mindset for an online job. I am also considering an online job and being a newbie would like to go the same path as a VA. I am an engineer by profession and the long travel to the plant/factory is what pains me in my job. Yes you are right, even though my job is different from being a VA, the bootcamp indeed helped me a lot in getting an online job. From creating online profiles, sending proposals, acing interview to getting the job, it was all laid out in the bootcamp. Ah, I feel you with the long travel going to/from work. xD I believe anyone can transition to the path of being a VA as long as you have the will and motivation to do it. The next question that you'd have to answer is, how do you want to start the transition? Do you want to start on your own? You can! Google can be your best buddy for that. Or you want to be guided? Then online courses such as the bootcamp can be your help with that. Was I able to give a proper advice? ... xD Nonetheless, I'll be cheering you on! Thank you for your advice. I feel with more information and as a newbie I get more confused and has more questions. I am looking at udemy to learn those skills required to be a virtual assistant and most are cheaper ranging from 10-12 dollars per lecture compared to va bootcamp. However, I am also considering that VA bootcamp may be more tailored to filipinos as virtual assistants and although more costly may provide you more structured lessons. Do I go with udemy and take individual skills training or just get the va bootcamp accelerated version? Hope to get your valuable inputs again. Hmmm, I have heard about Udemy, but haven't really tried to take lessons from it. I have only enrolled in VA bootcamp hence I am only able to share my experience about it. And you are right, the bootcamp is made by fellow Filipino who succeeded in Freelancing so it really is tailored to Filipinos. And yes, the lessons are well structured for beginners who have no idea about what a Virtual Assistant does, step by step. In choosing which course you should take, I guess you may consider the benefits you would get from it. Does the benefit of Udemy or VA bootcamp or any other course outweigh the cost? I understand that VA bootcamp is more expensive than Udemy, so I suggest, you can try first their FREE Course on How You Can Work from Home to see how Jason Dulay teaches. Certainly it wouldn't be the complete one but at least you can have a snippet of the lessons first before fully investing into it. That's what I actually did before I enrolled in the bootcamp as well (although what I tried was a free course about Quickbooks xD). Thank you for your insight. Do you have a group at facebook for freelancers that I can join. Appreciate the link here. Thank you. If you're talking about a group I created, nope I don't have.